This casual guy can be transformed from a regular Joe to your best friend! 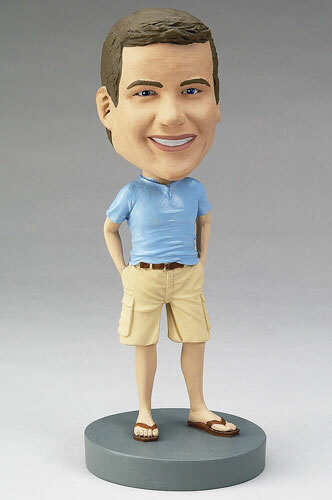 By making this bobblehead doll personalized, you can have a special gift for a friend or loved one. Customize his outfit, appearance, and accessories to get a laugh from your friend and help him to decorate his home or office.